This book is fascinating retelling of Homer's Iliad. It is a look into the life of Achilles, one of Greek mythology's greatest war heroes. In my opinion, Achilles has often been portrayed as a self centred and entitled demigod who's fate is sealed in the Battle of Troy. 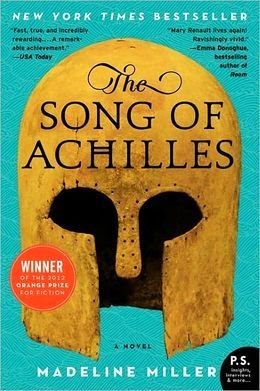 This story is told from the point of view of Patroclus, Achilles' best friend. We learn that behind his godlike strength and arrogance is a young boy who is conflicted and vulnerable. This book has it all: a coming of age story, a love triangle and a wooden horse. It was refreshing to get a different perspective on Achilles' life and the events leading up to Battle of Troy. It made a well known story seem new again.